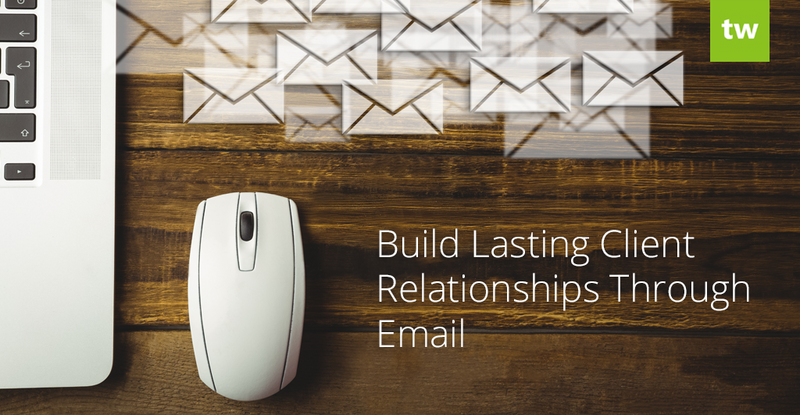 Email is a powerful tool that can help you to build lasting relationships with your clients and employees. If you’d like to improve your company’s internal and external communication, you may want to carefully assess the email features offered by Teachworks and Teachworks competitors when looking at software options. Teachworks offers a fully customizable welcome email. Welcome emails allow you to welcome your client and provide them with key information. Welcome emails make a good first impression, which is why it’s a great idea to send one to each new client. It is the digital handshake between client and company and the first step in creating a lasting relationship. The teachworks welcome email template has a number of merge tags that you can use to personalize the email. The email add-on allows you to send personalized emails to your employees, families, or students directly from your Teachworks account. The feature uses the email addresses listed on each individual’s profile. The add-on gives you the option to choose a recipient type, making it much easier to segment your marketing messages and ensure that your emails reach the right people. You can easily select a single employee or client or multiple employees or clients at once. You can use colour or images to make your emails stand out. If you want to improve your email marketing efforts by sending out a monthly newsletter or weekly updates email (the possibilities are endless), you can enable our MailChimp Integration. MailChimp is an email marketing service that allows you to create beautiful email campaigns – even if you’re not a designer. MailChimp allows you to track email performance which will give you some great insights that you can use to further improve your email marketing plan of action. With our MailChimp Integration enabled, you can effortlessly sync families, students and employees to your MailChimp lists. You can also select profile fields to include as merge tags for segmenting your campaigns in MailChimp. The great thing about email is that a lot of things can be automated, saving you a lot of time while still making a lasting impression. Teachworks has a range of email notifications that can be customized and sent to your clients at exactly the right time. Each notification has a list of unique merge tags that you can use to further personalize it. If you have lesson reminders enabled for your clients, they will receive reminder emails before their next class. You can customize the lead time according to your business needs. You can also enable manual reminders to send reminders about a specific lesson instantly. Add your personal touch to billing notifications (new invoice, invoice reminder, credit note and payment received) by editing each template. Notify your clients of lesson cancellations quickly and efficiently. With the Cancellation Email Add-on enabled, the “Complete Lesson” form will display a checkbox to send a cancellation email if you’ve set the status to “Cancelled”. If you offer packages to your clients, you can enable Package Balance Alerts to notify them when their package lessons fall below a specified amount. You can customize the email template to include more information about how they can go about contacting you to pay for more lessons. This add-on allows you to send your customers a personalized email with a snapshot of all their upcoming lessons for a selected time period. Keeping your clients informed and reminding them of their schedule will help to build trust. Sending lesson notes to clients after a lesson is a great added bonus. You can write down a summary of the lesson as well as some pointers for the next lesson. This will helps to build trust and your client will feel valued. If you have families with children, you can send a summary of the lesson to parents to keep them informed at all times. For more information about our email and other free add-ons, visit our Integrations & Add-Ons page!